Check the sidebar for maps of the first three races. 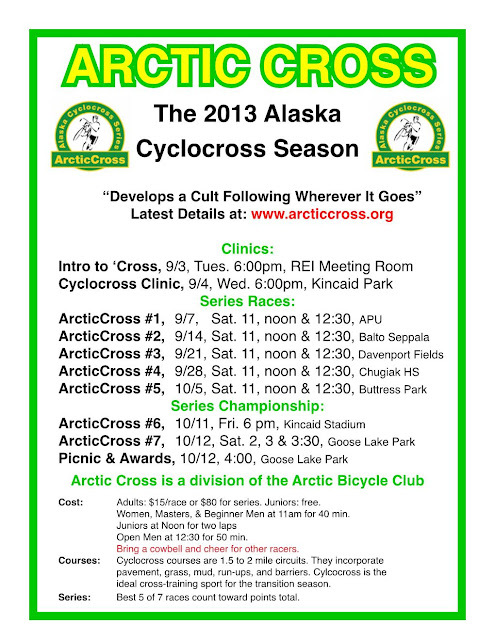 We are pretty excited to have some new, fun venues this year, so make sure not to miss these races. 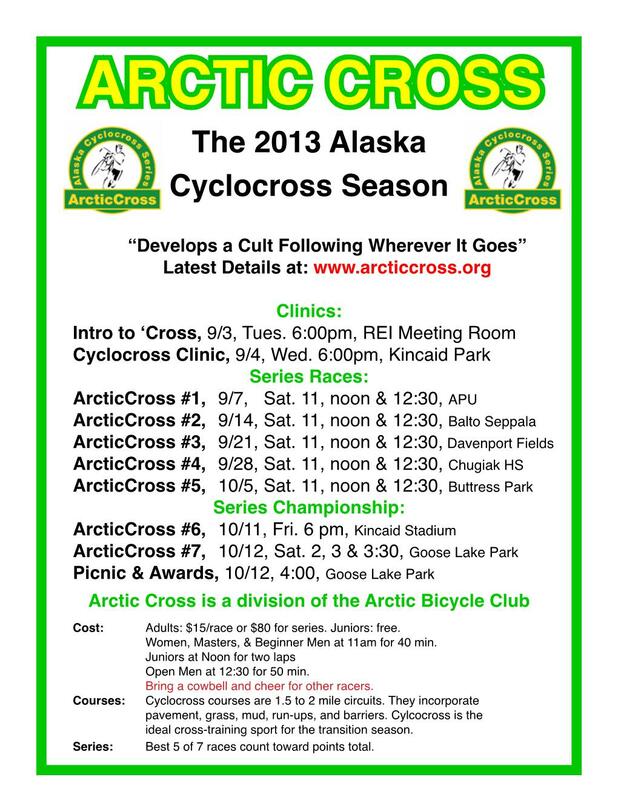 Also there is an indoor clinic tonight (9/3) at REI and an outdoor one tomorrow (9/4) at Kincaid, check the flyer and schedule below for details. I know the clinic is at 6p tomorrow. Unfortunately I have class @ 6:30. Would anyone be able to come @ 5:30 and help me? I'm a complete newby. What are the options for singlespeed?